Why did you choose the University of Kentucky? SG: While searching for engineering programs in the U.S., I came across University of Kentucky. On further research, I learned about UK’s SEAM (Scholars in Engineering and Management) Honors program, an Honors program which teaches business fundamentals for engineering students. No other school I had applied to had this much to offer so my decision was easy. 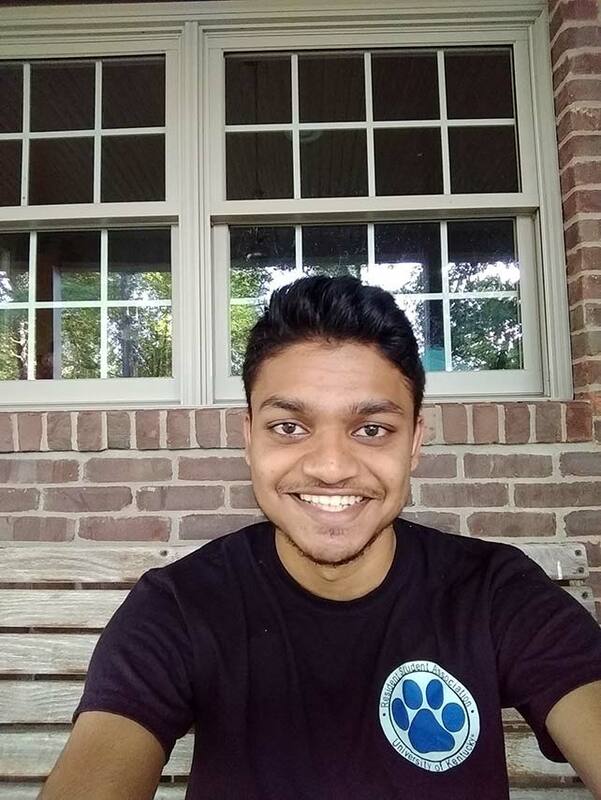 EF: The University of Kentucky (UK) has really good Engineering program, and the Chemical and Materials Engineering Department itself works closely with the College of Pharmacy that is ranked the top 10 in the U.S.. UK is also a research-based university, and I'm passionate to explore the research opportunities that they offer. I applied to several other universities, and UK provides more scholarships compared to the others which makes it even better. What were some of the big differences you noticed when you first arrived (social, academic, weather, etc.)? FW: Not much, University of Kentucky is where I wanted to be, it feels like home, doesn't matter where you're from or what you have experienced, you will always find a place that fits you or someone that shares the same experiences as you do. SGS: I come from an island in Venezuela so weather was a major change. Back home we only have two seasons, so having 4 different ones was new to me. Socially it is a big change, it's is a different culture to get used to and you are leaving your home to pursue a better education. It takes time to adjust but it is not impossible. How would you describe classroom culture compared to the one at home? FW: It is fairly different from what I have experienced back in Chinese middle school. Classroom culture here is more about self-discipline, no one will force you to come to class, take notes, or pay attention in class. There will be no one to give you the daily reminder when homework or a project is due, all the information is covered in the syllabus. EF: Very democratic, that’s definitely my first impression. The professors are always open for questions, concerns, and suggestions. Some early courses (100-, even some 200-level classes) are held in a large lecture setting, but it’s worth allocating a small amount of time after class or during office hours to discuss with the professor regarding the course if there are any difficulties. How would you describe the university culture at UK? SG: UK has incredibly helpful professors and provides a stellar quality of education. It also has a rich history. UK Athletics has fans all over the country. UK also has hundreds of student organizations on campus. Last but not the least, UK has the most modern residence halls in the U.S.. Overall, UK has a really good university culture. SGS: UK has a very culturally diverse campus. You will meet people from all over the world and all over the U.S..
What do you like about being a Kentucky wildcat? FW: Once a Wildcat, forever a Wildcat. I am very proud to be a Kentucky Wildcat, and part of the Big Blue Nation. The University of Kentucky has one of the strongest school spirits I have ever seen. EF: Basketball is like the number one “religion” across campus; you have to always be prepared during the basketball season, the streets will be flooded by UK students cheering for the Wildcat teams. This excitement and the feeling of inclusiveness add the uniqueness of college experience at UK! What kinds of things are you involved in on campus? FW: I used to play in the University of Kentucky Symphony, because I am a violin minor, and I love classical music. I was in the UK badminton club for a while and participated in a couple of tournaments. Also, I am an international ambassador. I also participle in Greek life, through there, I get to make lots of friends. EF: I am actively involved in student organizations as a board member in UK American Institute of Chemical Engineering (AIChE) and the Society of Women Engineers (SWE). I attended the Annual SWE National and Regional Conference in my freshman and junior year. 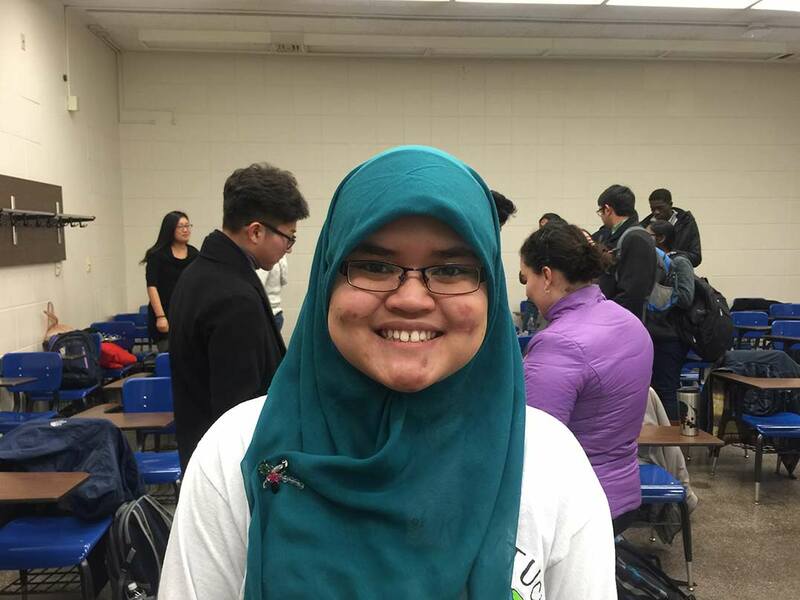 I previously have been involved in the Student Government Association (SGA) as the International Students Coordinator and I was the president of the International Student Council, where I experienced organizing cultural events and meetings to promote diversity across campus. This past summer I have been doing research at the UK College of Pharmacy. I am also doing a part time job as a Chemistry Tutor at The Study Academic Enhancement. What do you do for fun in Lexington? EF: As “The Horse Capital of the World”, I definitely can’t miss the horse experience in Lexington! Keeneland can be an option where you can watch the horse race and many people like to go there, especially during the Derby season; while I personally like to go to the Kentucky Horse Park. Other than that, me and my friends like to explore hiking trails around Lexington. We’ve been to the Red River Gorge (you can’t miss this one! ), Auxier Ridge Trail, and Raven Run Sanctuary. We also love hunting for good ice cream place or coffee shop with their Instagram-able place! SGS: Keeneland, basketball games in the spring, football games in the fall, going hiking to Raven’s Run or Red River Gorge, finding coffee shops around the city. If you could have known one thing before moving here, what would it be? FW: Before I came here, I was expecting it to snow in the winter and sunny in the summer, but Kentucky’s weather is way more complicated than that. You will get to experience all four seasons during winter, one day it could be 30 degrees Celsius, and next day it will start snowing. On some other days, you will leave in the morning with a jacket, and come home with a t-shirt. Do you have any advice for incoming international students? FW: Stay open minded and make friends with everyone. One thing that most international students attempt to do is staying in the life style that only has people from their own countries. 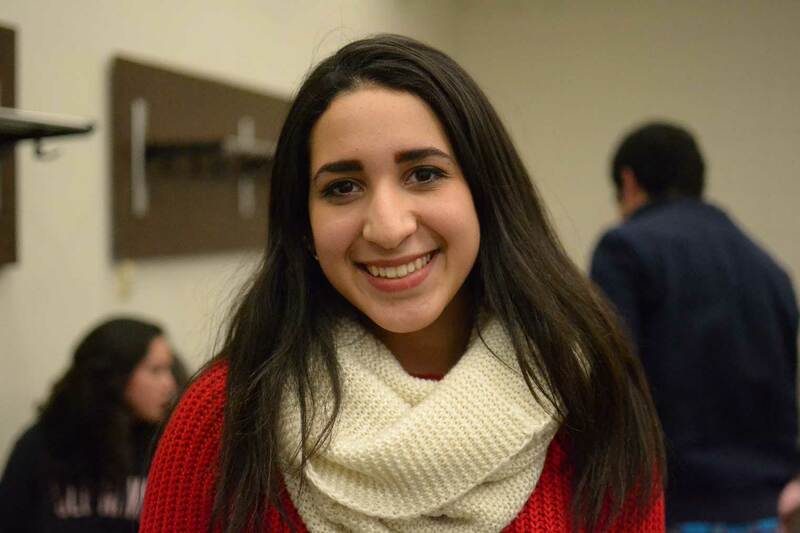 I know it makes you comfortable and easy to fit in, but that's not why you chose to come to the United States and study, this is a country that combines cultures from all around the world, and it is very meaningful and helpful for you to get involved and make friends with the Americans and other international students. EF: Take as many opportunities in front of you. Go ask your professors about doing research in their labs or possible part-time job; it’s definitely worth adding to your resume! Go out apply for some awards and scholarships, join organizations, participate and volunteers in the on-campus events…don’t worry about being busy because hey, we come ALL the way here to not just feel enough about good scores or good sleep, right? There are just so many to explore at UK and most importantly, we are all in this together! What would you like others to know about being an international student at UK? FW: You are very welcome here, you have the same rights and respect that Americans do. 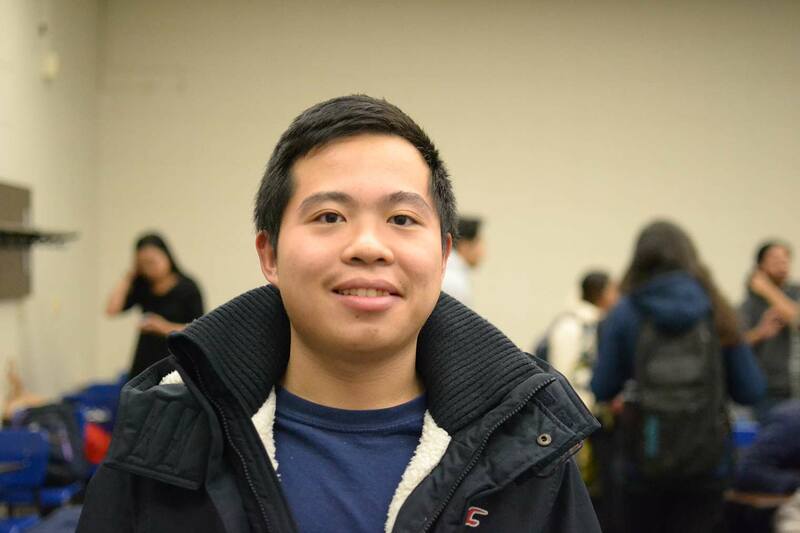 People here are very helpful, especially when they know you are an international student. Teachers, and classmates will give you extra attention and help. EF: It’s so much fun, exciting, amazing…all possible awesome phrases you can think of, you name it. In a sense, I am unique and have my own identity with my label as an ‘international student’; but at the same time I also don’t feel like that ‘international’, because I get the same exact opportunities and looked upon just about the same as the local students.